Have you ever tried following a Yoga DVD only to find it difficult to perform the postures correctly whilst having to look at the television? Constantly looking at the screen can make it tricky to fully commit to the practice. This occurred to me when I was devising and presenting a series of Yoga DVDs, so I began to create the Yoga 2 Hear range of audio yoga classes. After much research it also became apparent that audio is a more effective form of learning as there are no visual distractions, and with the use of an MP3 player or iPhone the classes are fully portable and can be performed wherever and whenever suits. I spent some time developing a teaching style that worked for audio so that the classes were safe, effective and easy to follow. Yoga 2 Hear has been well received, and is ideal for self/home practice between visits to your regular classes. After 6 successful years producing and selling a range of more then 40 different yoga classes I wanted to apply the audio format to other modalities such as Meditation, Chi Gung, Sound Healing, and Pilates.That was the beginning of Wellbeing World Online. Like many yoga teachers, I have spent years travelling, studying and teaching yoga. During my journey I have worked with some immensly talented teachers that are free from hype and teach selflessly and honestly from the heart. Through Wellbeing World Online I have been lucky enough to create audio classes with some of these amazing teachers, and with some fantastic teachers fron the Nelson area where the business is based. 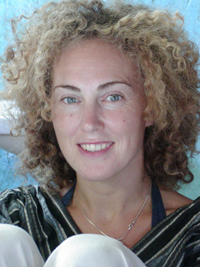 Maureen McCain – a Yoga Teacher with over 30 years experience who has created Inspirational Relaxations, four relaxations designed to inspire, relax and refresh. Tim Maples – a qualified yoga teacher for the last 36 years, Tim has studied and taught globally and has created a Yoga Vinyasa Series. Rae Roberts – a teacher with over 25 years of experience has created a Learn to Meditate Series. All of these teachers are passionate about sharing their knowledge to the greater benefit of others. Whilst the quality of teaching is crucial to my products, so is the audio quality and the enviromnental impact. This is why all classes are professionally recorded and mastered and are avaliable on CD with recycled packaging or as a MP3 download. All classes are accompanied by a paperless PDF guide booklet for those that like a visual reference. Wellbeing World Online are offerring all YLB subscribers a 25% discount on all products. To receive the discount code for your purchases, just sign up for The Monthly Digest. All subscribers (including those currently getting emailed articles three times a week) will receive their discount code via email next week. Just want to say THANKS to Sue for her Yoga2Hear audio programs. I’ve purchased several through itunes and continue to go back to them time and time again – unlike so many DVDs where I purchase them, try them and then they either sit on my shelf or get donated to the library. I’ll be checking out the new offerings. Back again…..with sticker shock. Checked out the new site and looks like the yoga audio’s are double the price on the new site versus itunes. Price gouging or what? Thanks for your comments, unfortunately with itunes they have fixed prices against our recommendations (I am currently in communication with them about this) all other online stores retail at our recommended retail prices and you will see prices are the same as wellbeingworldonline.com. We offer free online support, replace files when customers have changed systems and lost files and always happy to answer any email enquiries. For some of our classes itunes have not included the free guide booklets, we are making sure that these customers receive their guide booklets behalf of itunes. It is a shame you feel like this, but it does enforce that we need to withdraw our products from itunes, we are a small company that have devised and created classes suitable for all levels and tried to remain yogic throughout, there is no price gouging on our behalf. A large company is undercutting and not retailing at the original prices set by ourselves. I feel generally saddened by your comments as this is not what we intended. Thanks for the explanation – that it is the ‘or what’ NOT price gouging. itunes gouges Australian purchasers in general with their overseas (nearly double) pricing so I guess I’m not surprised that sellers also have issues. As I said in my first post….your audio programs are the ONLY ones I return to time and time again. I find they are well sequenced with easy verbal directions to follow. Plus, you give TIME during the sequence to actually do the work – rather than rush the listener through the process. I have recommended them frequently in yoga forums and with fellow classmates. I would like to add my support to the wonderful ( world!) work that Sue and co put together. They may not be able to control and slash prices as massive conglomerates can BUT they offer a world wide quality service using many New Zealand teachers and artists. May the force be with them and those genuine practitioners who support this gem of a fledgling business. Namaste. Have you considered marketing your audio classes directly to blind people? We don’t have enough options when it comes to learning yoga. Could you perhaps offer a token discount through online vendors or non-proffit agencies that serve the blind and visually impaired? We have some products available in the DAISY format for the RNIB. I also passed on a discount code to an organisation in NZ. I will research this further and inform more organisations about our products.